The lower cost of surgery is a major deciding factor for the thousands of people who travel abroad every year from the UK. But many people do still view cosmetic surgery abroad as a risky option when compared to treatments in the UK. Why Travel Abroad for Cosmetic Surgery? Fully qualified cosmetic surgeons and discounts of between 40% and 60% are two of the major reasons why more people from the UK are choosing to fly abroad for treatments. Another plus point is the chance to have surgery completed abroad and spend a week or two enjoying the foreign country while recuperating. Spending a holiday healing from cosmetic surgery might not sound like everyone’s idea of fun but small treatments can heal in around a week to 10 days. This means patients can arrive back in the UK relaxed, refreshed and with no visible signs of surgery apparent to friends and co-workers. The UK cosmetic surgery option will usually be a week or more spent at home during the healing period. The price of cosmetic treatments abroad and the amount of discounts available does depend on the intended destination. Customers do need to remember to figure in flights and accommodation into the total price. People from the UK have a huge number of options when looking for low cost cosmetic treatments throughout Europe. Spain, Malta and Eastern European countries all offer cosmetic surgery at much lower rates than available in the UK. The low prices mean than many people do travel abroad for multiple cosmetic treatments for less than the price of one surgery in the UK. Safety checks are vital when considering cosmetic surgery abroad. Low prices should not take priority over safety. It is important that anyone travelling abroad for surgery research their intended clinic and surgeon. Checks should include research to ensure surgeons are licensed to practice and registered in the country where the surgery is intended. Travelling time may be another downside for those who are intending to travel straight after surgery. Long flights are not the best option for those who have just had surgical treatments. Recovery time and post operative care is an important part of any cosmetic surgery. Many people will prefer to spend their recovery surrounded by home comforts. Others may not mind the fact that they can relax on a beach abroad without being spotted by friends during the healing period. Relaxing on the beach may not actually be an option for some cosmetic facial treatments. Surgeons may advise patients to stay out of direct sunlight after facial surgery. These factors should be considered when choosing a country abroad in which to have cosmetic surgery. Cosmetic surgery post operative after care is an important issue during the healing period. If any complications do arise the patient may need to see their surgeon quickly. This can be an issue for those who fly home straight after surgery. Staying in the country where the surgery was conducted for at least a week is a wiser option. 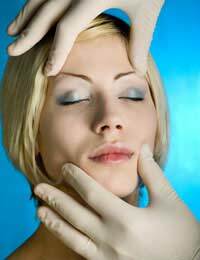 Having to visit a cosmetic surgeon in the UK if complications do arise will add to the overall cost of the treatment. Repeat procedures may be required and if this is the case then the wise option is to choose a country that has a short travel time from the UK. There are a number of positive factors to having surgery abroad when compared to the UK. Cosmetic surgeons abroad are fully qualified; many have gained their qualifications in the UK before setting up clinics abroad. The choice is of course up to the customer and all of these considerations should be weighed up when making the final decision.